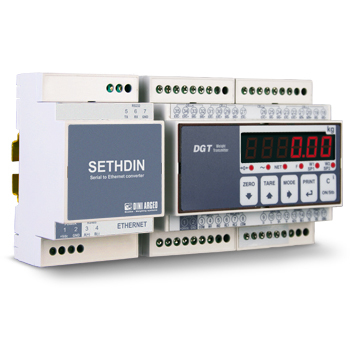 SETHDIN: RS232 / RS485 / ETHERNET converters for panel mounting on DIN bar. 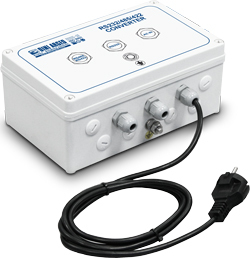 Compact converters connectable to any counter-top indicators of the Dini Argeo range, easy to set up. In combination with CPWE indicators , it allows one to take advantage of a complete set of specific commands for creating automated systems for software companies, installers and OEMs. 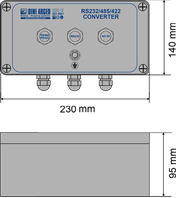 C232485 RS232/RS485 converter integrated in a IP67 ABS case. Fitted with internal power supplier.